Come kick it this November in the Fall Recreational Festival! 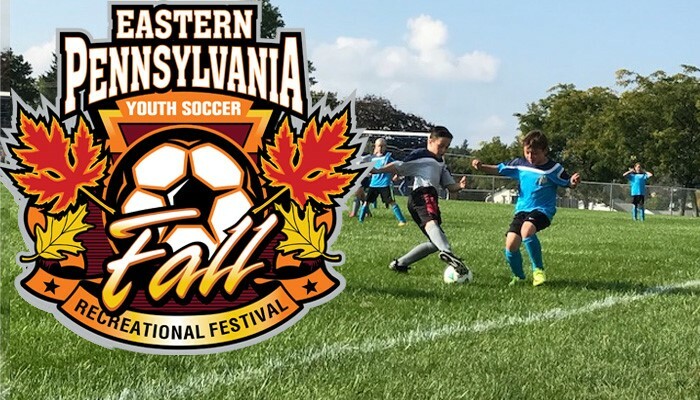 Eastern Pennsylvania Youth Soccer is proud to introduce a new event to the autumn schedule: The Fall Recreational Festival, hosted by Octorara Soccer Club on Saturday, November 4. The Fall Recreational Festival is a one-day tournament designed specifically for recreational teams from around the state that don't otherwise get to compete against each other. Eastern Pennsylvania Youth Soccer will also bring its inflatable and giveaways to the event. Contact Frank Olszewski at folszewski@epysa.org with any questions regarding the Fall Recreational Tournament.